Steve is, originally, from Ohio, where he graduated from Miami University in Oxford, OH. After moving to Atlanta, he began his career as a manufacturer’s representative in 1985. Since the beginning, Steve has always tried to position himself as a resource to the architectural/design community by representing quality companies and offering great service. 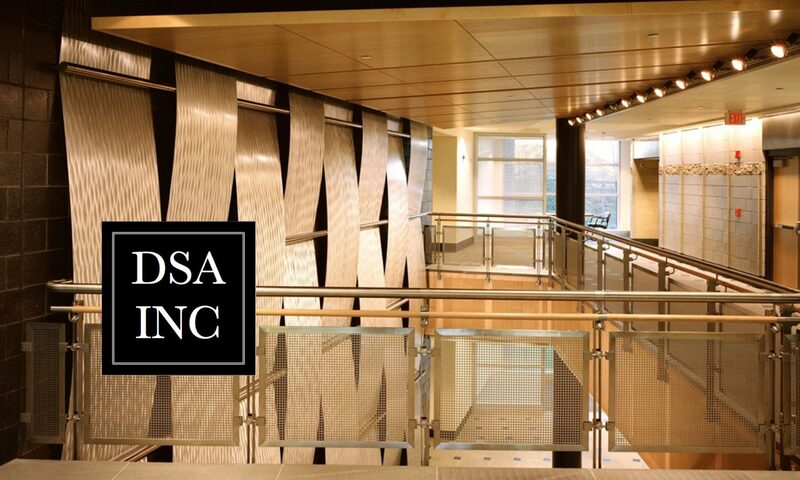 Throughout the years, he has gained experience by representing companies in all the segments of interior finishes: Ceilings, walls, floors, metals, wood, glass, resins, films, quartz, etc. Besides representing products, Steve’s life has been active through his involvement with his family. He and his wife, Debbie, have two college aged children. Their son, Grant, is a recent graduate of the University of South Carolina and now works for DSA. Their daughter, Emy, is at Kentucky. So, besides rooting for his beloved Ohio State Buckeyes, he cheers for the Gamecocks and the Wildcats. Since becoming “Empty Nesters”, Steve and Debbie have been finding new activities to keep them busy. Plus, they are eating out quite a bit. Give Steve a call if you would like to discuss a project or simply want to learn more about the products DSA represents. We look forward to hearing from you. Hal is also originally from the southern Ohio area, where he had been engaged in the footwear industry as a manufacturer’s rep for many years. Throughout the last several years, he has gained great experience and product knowledge in representing companies in all the market segments of interior finishes: Furniture, contract textiles, lighting, flooring, resins, quartz, metals, wood, glass, walls, architectural films, ceilings, etc. Hal joined hands with DSA and expanded his architectural specialty product lines as well as his product knowledge and now covers the state of Tennessee for DSA. Hal and his wife, Melissa, have two beautiful daughters and they are both elementary school teachers in the Nashville area. Their oldest daughter, Britt, graduated from the University of Tennessee-Knoxville and their youngest daughter, Sarah, graduated from Tennessee Tech-Cookeville. Hal cheers for the Tennessee Volunteers when the college football season kicks off! Give Hal a call if you would like to discuss an upcoming project, schedule a product review presentation or simply learn more about the high quality specialty products that DSA represents. Grant graduated from the University of South Carolina in 2018 where he studied marketing and public relations. He has previously worked in various communications roles ranging from corporate public relations to agency marketing and advertising. In the summer of 2017, Grant had the privilege of interning with DSA where he learned the basics of the architectural and design industry. He has now returned as a full-time manufacturer’s representative with prior experience with DSA and an eagerness to learn more. Outside of DSA, Grant works as a freelance writer, and plays drums (poorly) in his band, “West of the Ashleys.” After hours, you can find him traveling, at a concert or trying to convince someone that PBR is better than any craft beer. Please feel free to contact Grant if you would like to learn more about the products DSA represents. We look forward to hearing from you. Dave began working as a manufacturer’s representative in the late 1970’s. He is originally from New York City and attended SUNY Stony Brook. But, moved to Georgia and completed his graduate studies at the University of Georgia. For more than 30 years, Dave has prided himself on finding unique products to bring to the market. Over the last few years, Dave has transitioned into retirement where he enjoys time with his wife, Anne. Dave and Anne have two grown sons (both married) and they are experiencing their new role as grandparents.